C.E. 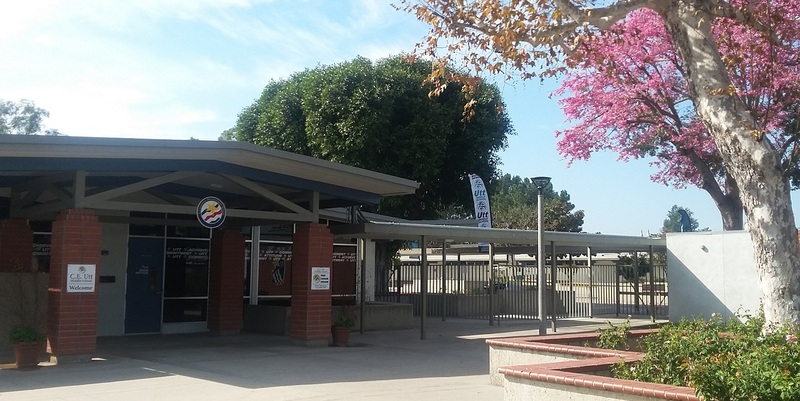 Utt Middle School, a California Distinguished and Honor Roll School in the Tustin Unified School District, provides an academically focused learning environment to students in grades 6 through 8. We prepare our students to succeed in a rapidly changing world. The combined efforts of Utt Middle School staff, parents, students, and community will produce global citizens with 21st century skills. We believe in the importance of having a positive attitude on and off campus, respecting those around us, as well as being responsible to ourselves and others. We also commit ourselves to being determined to continue to improve during tough times and to work through the difficulties we face on a daily basis. HOW DO I SHOW A POSITIVE ATTITUDE? Be respectful to those around you. Use appropriate behavior for the setting you are in. We commit ourselves as students, staff, parents, and community members to prioritize, embrace challenges, set goals, practice, take risks, compete, and finish strong in all we endeavor to accomplish. HOW DO I SHOW COMMITMENT? Be on time to every class. Do my best at everything I attempt. Keep the campus and my surroundings clean. Embrace challenges, set goals, take risks, and finish strong. We, the C.E. Utt Middle School community, will work together to help our students to achieve their personal best academically, socially, and emotionally in all that they strive to do. Completing all assignments on time and to the best of your ability. Being ready to learn every day. Having materials ready and available. Taking risks to try something new. Organizing notes and studying for classes.